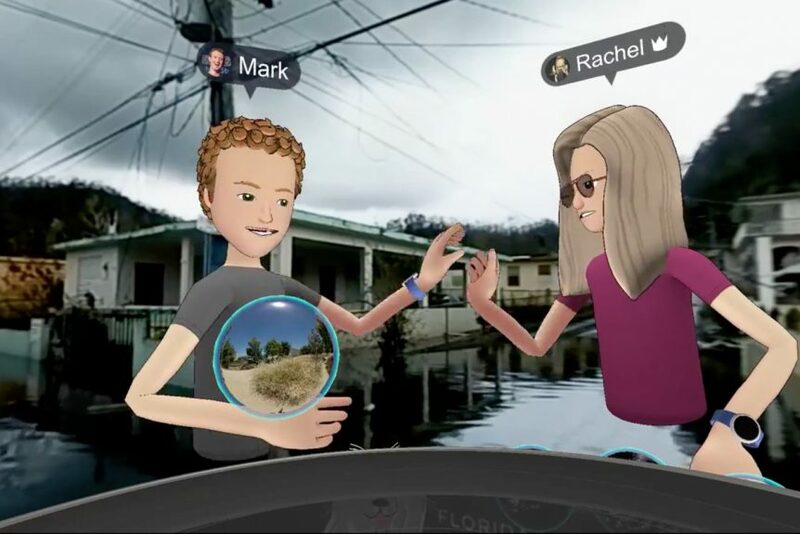 In early October 2017, Facebook founder Mark Zuckerberg and colleague Rachel Franklin sat in offices in California wearing headsets while they toured a video by National Public Radio of hurricane-devastated Puerto Rico using virtual-reality application Spaces. In a live stream, cartoon characters Zuckerberg and Franklin could be seen touring the footage of the island. The broadcast created a large backlash. Many saw this “exploration” as disaster tourism. Zuckerberg apologized for not making his message clear. He wanted to show that virtual reality tools can raise awareness and promote empathy. Instead, many viewers saw a leading tech company intent on promoting its products. Most of the advancement in virtual and augmented reality technologies is in the commercial sector. Companies hope to use the technology to promote and sell product. For example, consumers can check out what sofa colour works best in their living room—and what size of sofa fits best. Meanwhile, the gamer experience gets more captivating by the day. But can virtual technologies really benefit victims of natural disasters and wars? VR applications have been touted for building empathy, putting viewers in the shoes of marginalized groups and those fleeing war. VR has been called the ultimate empathy machine, able to change minds and develop better policies. International organizations and civil society have used virtual reality to provide insights into the experience of refugees, for example. A study by Stanford University showed that people really do become more empathic after virtually experiencing situations faced by the homeless. But critics say that what is being created is the illusion of empathy. It is difficult for people to “put themselves in others’ shoes” and brief glimpses of a harsh reality from a safe and controlled environment will not ultimately change attitudes over the long term. Militaries look to VR to improve training and prepare soldiers for battle. Such use is not new. But the technology has improved and access to open source data can now recreate more lifelike conditions. The United States military, among others, is developing virtual and “mixed” reality technologies that will enhance training by putting soldiers through battle scenarios that become increasingly realistic. This idea of bloodless battles has also emerged in discussions about the uses of artificial intelligence and robotics in warfare. But bloodless for whom? Are the civilians who will be caught in the middle of these conflicts considered at all? It appears that what VR is NOT doing is bridging the gap between the military’s view of war and the realities facing civilian populations. Ordinary civilians will not receive VR training on how to respond to attacks on their cities; they won’t be guided through scenarios that show how to keep their families safe. Civilian victims of war won’t be able to put on a pair of glasses and step into a simulation. Warfare is becoming a game to soldiers, who grew up with videogames and see war as an extension of this. But war is still all too real for the civilians who will be wounded, killed, and displaced from their homes. We must never forget: wars are not bloodless. Wars kill and maim. And many of the casualties are noncombatants. Simply, there are no reset buttons.